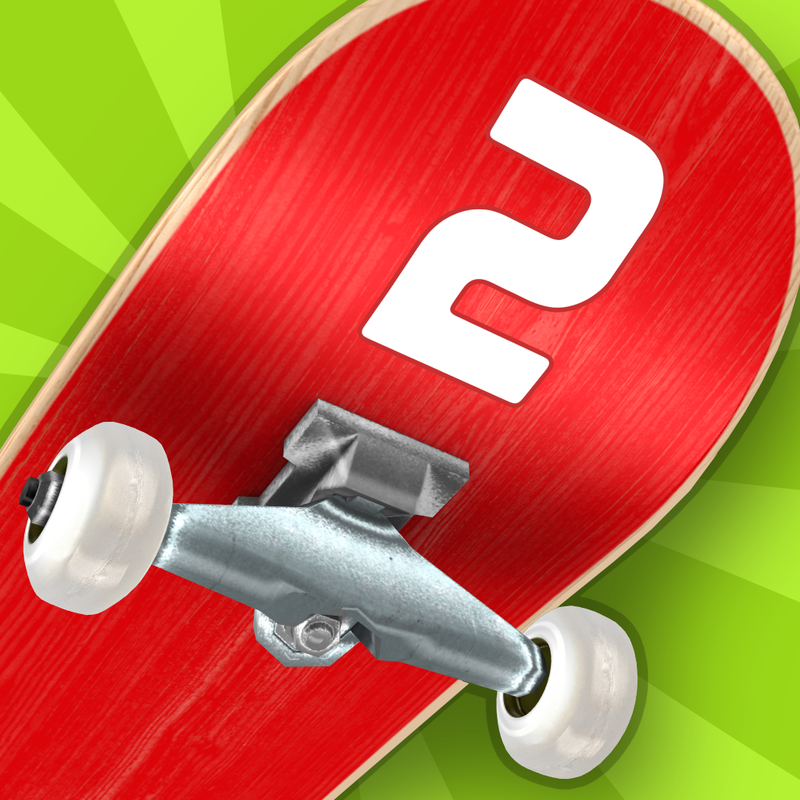 Touchgrind Skate 2 ($4.99) by Illusion Labs is the sequel to the popular Touchgrind game that originally came out in 2008. 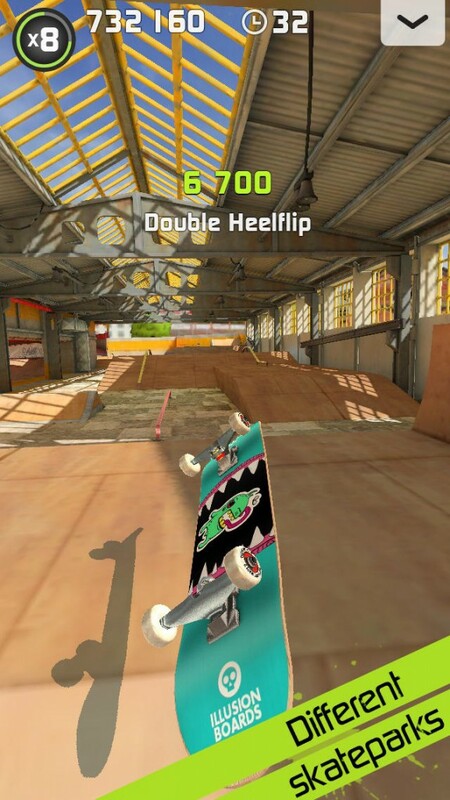 If you’re a skateboarding fan, then this game is suited very nicely for you. I am not a skateboarding person myself, but it’s something that I enjoy watching, even if I have no idea how to do any of it in person. But since any sport can be simulated virtually nowadays, it’s no surprise that skateboarding is a great choice, especially for touch screens. 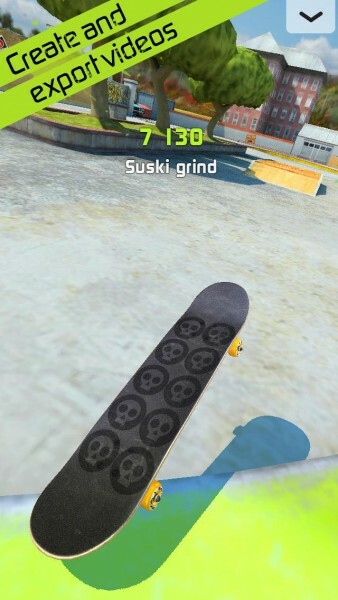 I remember back when I was in elementary school, and those finger skateboards were all the rage — Touchgrind Skate 2 immediately reminds me of those things. I had one, but I was never really good with it. The visuals in Touchgrind Skate 2 are amazing. 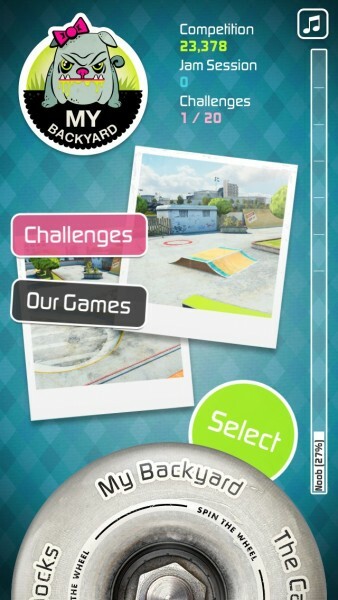 The game menus are sleek and easy to navigate and even feature little Polaroid photos of what the skate parks in the game look like. 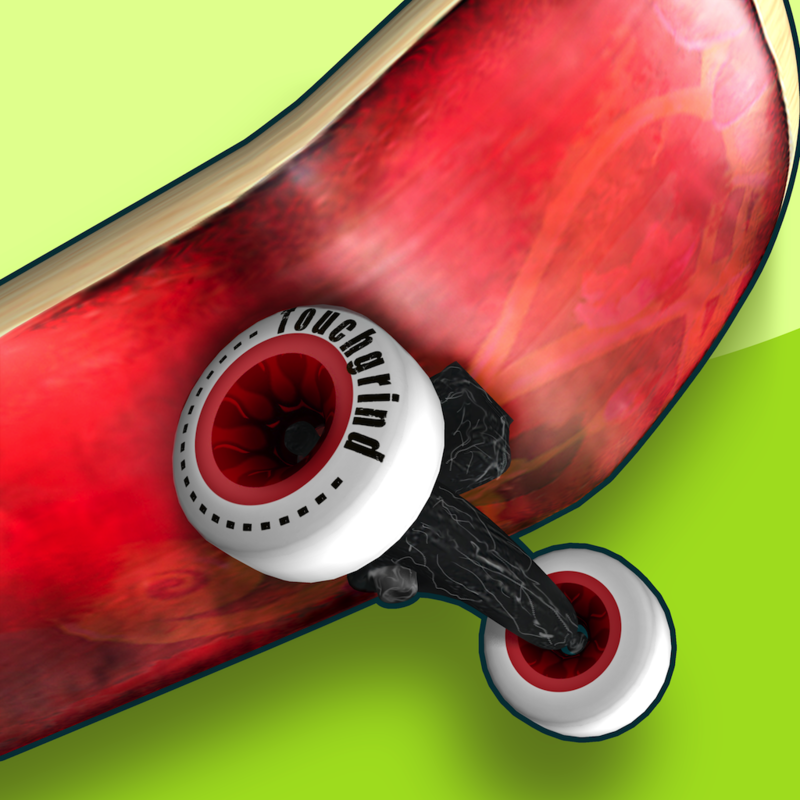 I also love the fact that you have to spin the skateboard wheel to navigate through them, because hey, spinning stuff. 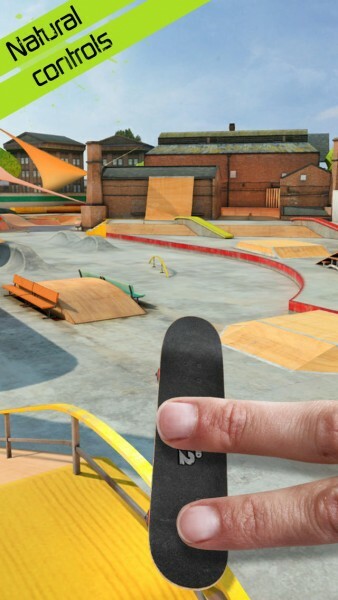 The skate parks look very realistic, which is what you want in a sport simulation game. 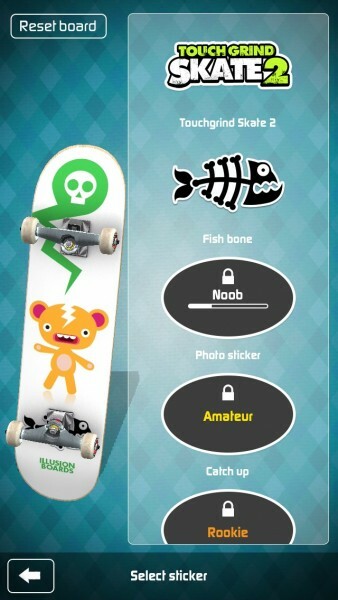 Even your skateboard, which can be customized as you unlock parts over time, looks real enough. And each spinning wheel, lost board, flop, landing, and grind sounds true to the real thing. This game is great if you want to get your dose of skateboarding action without the risk of bodily harm. In the beginning, you will only have access to the skate park “My Backyard.” There are other two other parks that you can unlock eventually, and a new one will be coming in the future. When you select the park you want to skate in, you can do the Competition or Jam Session when it’s unlocked. My Backyard will also feature the training videos for those who don’t know how to play. Each park also has its own set of challenges for you to strive for, so there is a lot of reason to keep coming back and improving yourself. Since I was not a player of the original, I had to go through some of the tutorial sessions. In these, the game will show you a brief video that will explain how to maneuver and do basic tricks, and then it will ask you to try and do them on your own. You can go back to these at any time if you need to brush up on your skills, which I have found myself to be doing a lot. 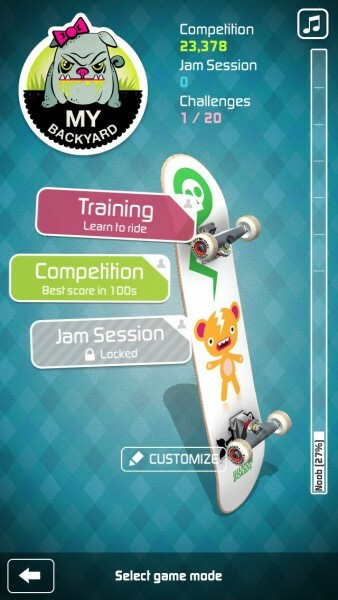 The controls are intuitive, requiring two fingers on the skateboard to accelerate and steer by moving your fingers slightly to the side. If you do the right combination of finger movements, then you are able to pull off tricks like nollies, ollies, pop shuvits, kickflips, heelflips, and more. 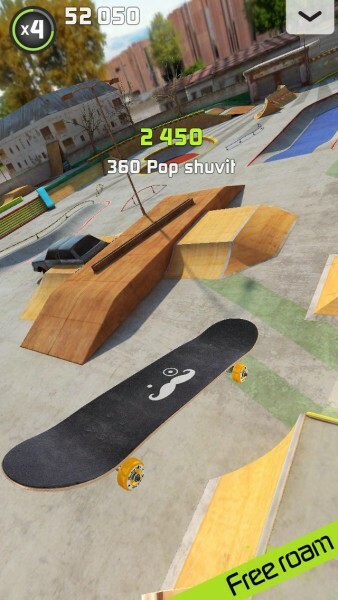 I’m still taking the time to learn the basics, but if you know anything about skateboarding, then it should be natural to you and any trick you can think of doing can be achieved in this game as well. 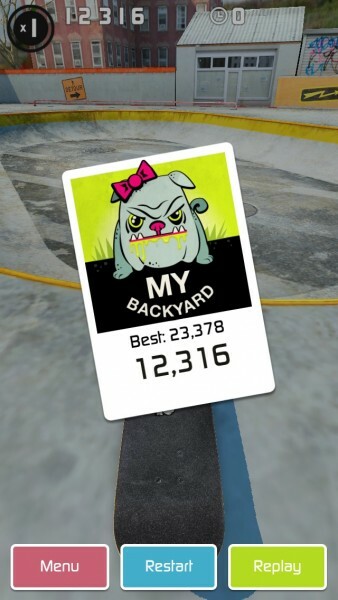 I only have the Competition mode open right now, but this basically gives you a certain amount of time to free roam the park and do as many tricks as you can to rack up points. The better the trick, the more points you get. The more you play and do new tricks, the more you will find your progress bar filling up with experience. Everyone starts off with the Noob rank, but you can become a Rookie and even Pro. This will unlock more parks, game modes, and parts for your board that enhance the handling. There is even a multiplayer S.K.A.T.E. turn-based mode, if you are up for competing with a friend. 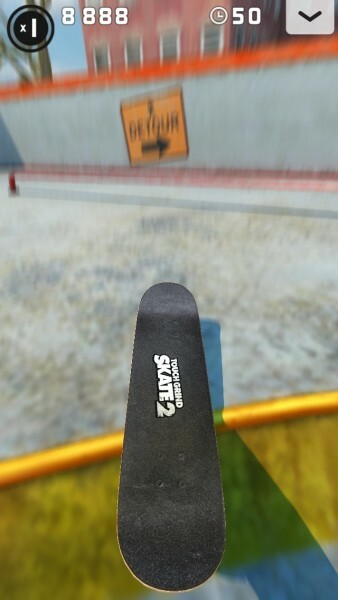 A cool thing about Touchgrind Skate 2 is the ability to record your skating runs and share the results with friends, either to woo them or make them feel bad about how little skill they have so far. 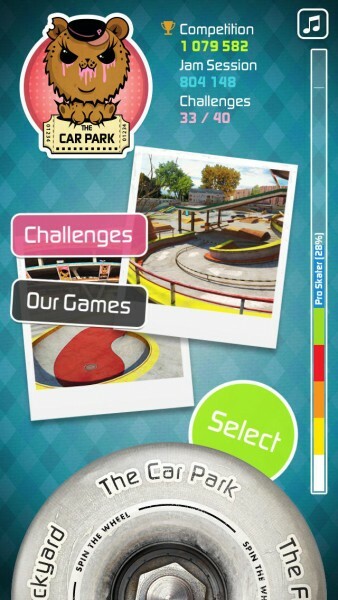 There is also Game Center integration for leaderboards and 100 achievements. At the moment, even though they say that the controls are intuitive, it’s still a bit frustrating for me, personally. Then again, I have zero skateboarding experience, so I would imagine that has a lot to do with why I am not very good at the game. However, despite my frustrations, I think I will keep coming back to the game and take it slowly. It is pretty satisfying once I successfully do a trick, and that feeling is what motivates me to learn more and more. It could also be the fact that I am playing this on my iPhone, instead of the iPad. I would think that the larger screen estate may make it a bit easier to handle. If you’re a skateboarding fan, then I recommend checking out Touchgrind Skate 2 when you get a chance. It’s available in the App Store as a universal download for $4.99.